Catalogue > Cities: maps and sights of cities and villages > 6. Zeeland > BRUINISSE. 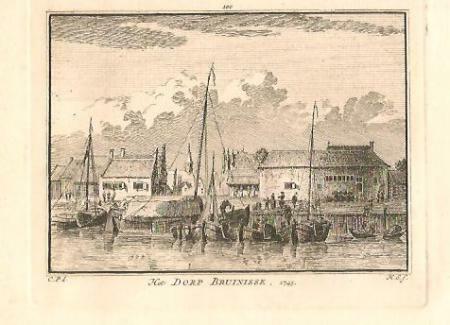 "Het DORP BRUINISSE. 1745. 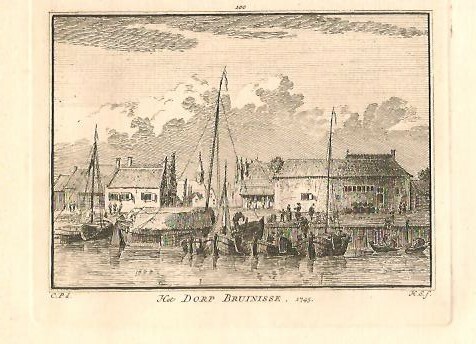 "Kopergravure uit circa 1750 door Henry Spilman.